Want to know what I’ve n up to lately? I mean, beside changing the theme and layout of this blog a gazillion times? 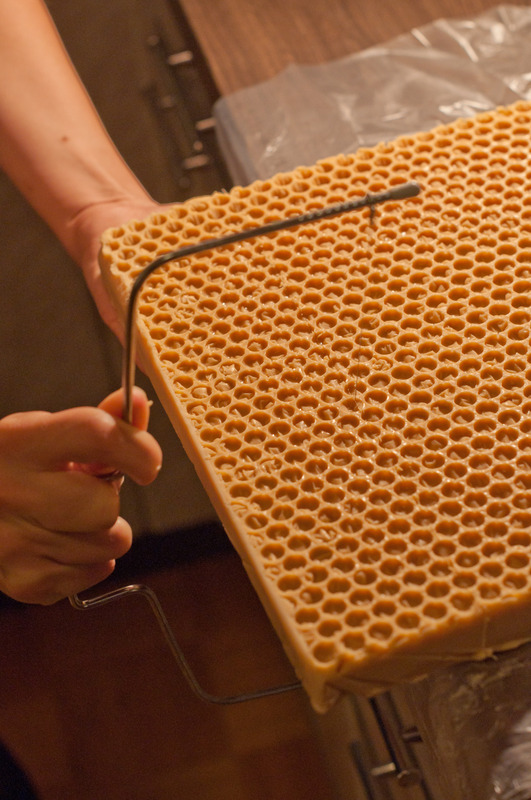 It was about time to make new batch of Beeswax & honey soap. I use a simple recipe which includes 2% yellow beeswax and addition od 3% honey. 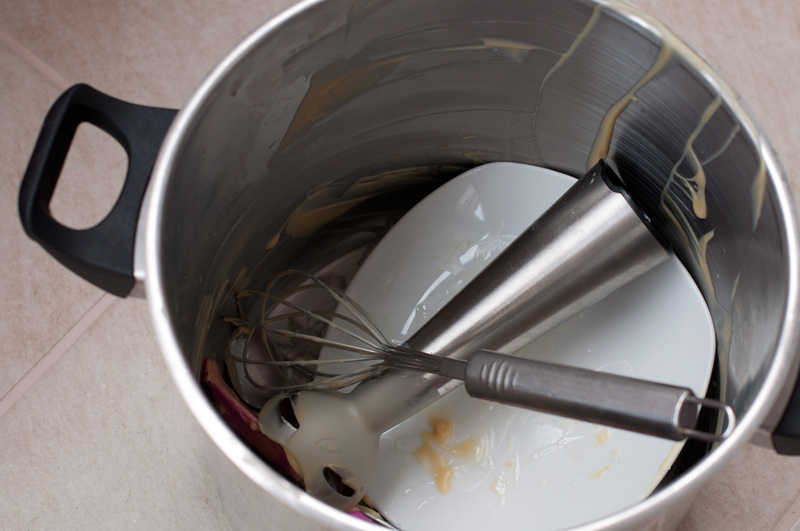 Because of the sugars in honey, the soap mixture tends to heat quite a bit. 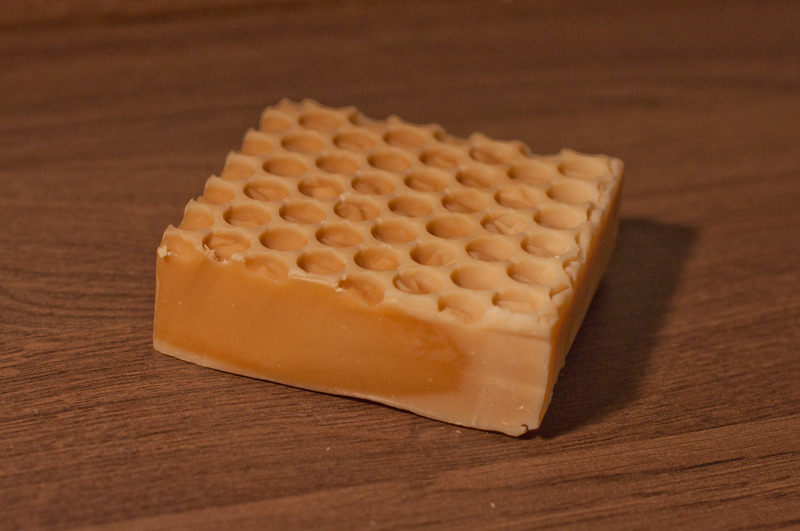 Th first time I made the soap I’ve got a “beautiful” partial gel which was visible as a dark circle once the soap log was cut into bars. The next time I knew I had to keep my soap as cold as possible, I also used a lot of water. Luckily, it was winter time and I put my log mold on the balcony floor, right into the snow. 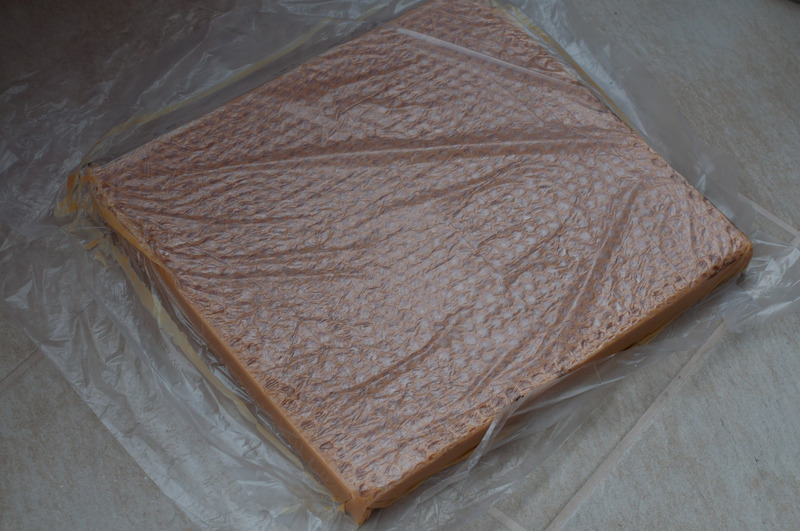 That helped a lot, the soap stayed beautiful yellowish tan color, no gelling or overheating. I’ve been reading about the effect of water content on Aunty Clara’s blog, and I thought that with all the sugar in my soap, maybe low water content is the way to go, to avoid overheating in summer months. I used 1:1,5 NaOH:water, this was also the first time I used master batched lye solution. I was also out of my usual Honeyed Fig & Saffron fragrance from Gracefruit, so I decided to use a mixture of two new fragrance oils, that I have never tested before. What a smart move, experimenting with fragrances and other things on a soap that is challenging enough by itself.. I soaped quite cool, at room temperatures. The soap mixture traced quite fast, then it started turning dark and getting a weird smell. 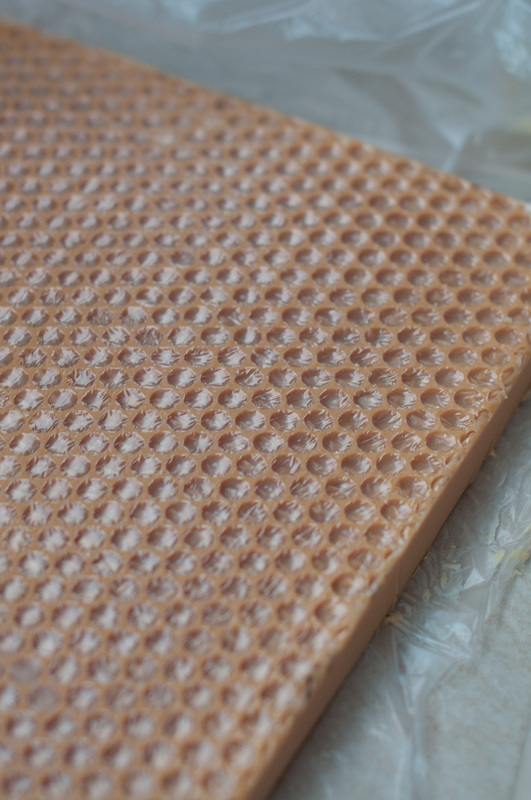 I quickly poured it in my slab mold (that was also supped to keep the temperatures lower than a log mold), which had bubble wrap lined on the bottom, to give honeycomb texture. After 10 minutes or so, the soap gor very hot and hard enough that I could flipped it out of the mold onto the cold balcony floor. Even though I took it out of the mold rather quickly, it still heated pretty badly in the center. I cut it the very next day. As you can see, I didn’t have any dividers in this slab mold, so I tried to cut with a cake cutting wire. It worked very well! I really like this soap, it is so nice and creamy, I hope the look of it won’t scare people. Cleanup, my favourite part of soaping. NOT! This is it for tonight, the next post will be exciting – I made my first ever bath bomb cupcakes!